Under an initiative called The Rice Investment, US students seeking an undergraduate degree with family incomes under $130,000 will not pay tuition. 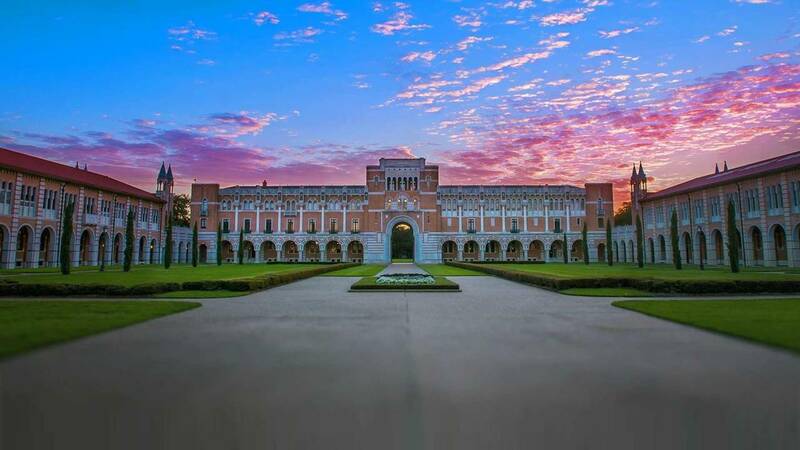 HOUSTON - Rice University will award scholarships that will cover the cost of tuition to students from low-income and middle-income families starting next fall, the school announced Tuesday. Rice's announcement comes as the average cost of college - public and private - keeps increasing. According to US News & World Report, tuition and fees and private colleges rose 3 percent for the 2018-2019 academic year. The average cost of tuition and fees for a private institution in the US this year is $35,676. David Leebron, Rice University president, called the iniative a "bold step" in making education at Rice "accessible and affordable for students from all backgrounds." Fourteen other colleges and universities in the US offer financial aid that covers tuition, according to a list compiled by US News & World Report. Last month, New York University announced it will offer a scholarship that covers tuition to medical students, regardless of their financial need or academic performance.